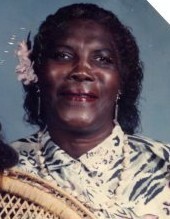 Mrs. Edna Smith was born June 8, 1930 in Washington County to the late Ennis and Ponstine Neal. She departed her life on Thursday, July 19, 2018 at Thomson Manor Nursing Home, Thomson Georgia. Mrs. Smith joined William Grove Baptist Church, Warrenton, Georgia at an early age. She is survived by seven daughters; Catherine Smith, Cathy Mae Smith, Mary Jane Smith, Laura Mae Smith, Mary Julia Smith all of Warrenton Georgia, Christine Ivey of Mitchell, Georgia, and Christine Renfroe of Sandersville, Georgia; three sons, Bill Smith Jr., Willie Clarence Smith, and Ulysee Smith of Warrenton, Georgia, nineteen grandchildren, twenty six great grand, one son-in-law A.C. Ivey. A host of nieces and nephews.